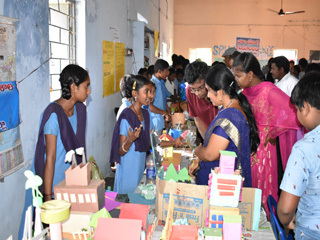 Science Expo is one of the most important event in the Srujanavani's calendar. In a world, where little is left untouched by the advent of Science and Technology, rural students are left in the lurch having little or no access to the scientific developments. Normally foundations for such scientific exploration are laid during ones childhood. Bridging the rural urban divide, Srujanavani attempts to lay platform for scientific exploration. The Science Expo is a development in this direction. 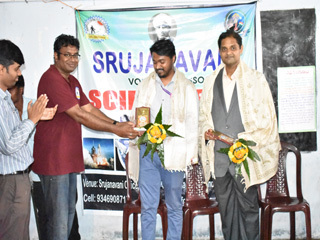 Apart from laying seeds of inquisition among the young minds, students are encouraged to bring out their creative skills and demonstrate profound scientific concepts in a lucid way. Science Expo is celebrated in the memory of the great Indian scientist Sir C.V. Raman. 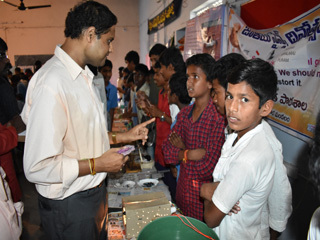 Srujanavani has been conducting Science Expo for the last 6 years. This year it was celebrated on 1st March 2019. 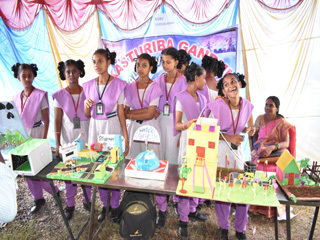 A total of 21 schools have participated in the event and presented their Science Models. The spirit and vibrancy could be easily felt in the event premises as the students engage in Preparation of Models, Setting up , Showcasing and Demonstrating the Models to the students, Teachers of other schools and the Judges. Most of the models were novel in their design and are made totally from locally available low cost materials. All the models were carefully examined by the judges panel comprising of Shri. Santhosh garu, Assistant Professor of Andhra University, COIGN team members , Srujanavani members Rambabu garu and L.Suresh garu. The exhibited models were carefully scrutinized by the panel as the models gave tough competition to one another making the selection of best among the models highly difficult. 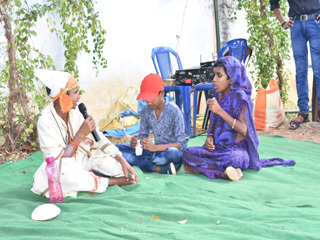 Students were encouraged to inculcate the habit of observing the applications of science in their day to day life and also explained about the prospects of taking up Science as a Career. Finally Four schools were selected in the categories 6th to 9th standard. Winners include MPUP school, Veeravalli in 6th, ZPH School - Turuvolu in 7th, ZPH school, Koduru for 8th and ZPH school, Vommali for 9th standards. Prizes were distributed to these winning schools. Each school has been gifted with one Science Model each for their contributions made. 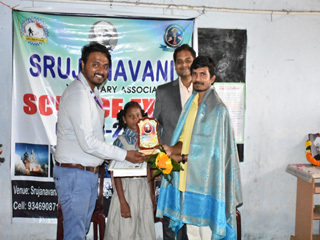 Nonetheless the success of this event lie in the energetic participation of students and teachers who took all the pains to prepare their students to deliver their best. It would not be an exaggeration if we say that the Skill Development Centre, Vaddadi is steadily becoming the Center of excellence for the rural students and an experiential learning center, memories of which would be cherished for lifetime.